If you’re looking to jazz up your Alberta home’s basement, we can help! Our team of experienced basement contractors can remodel or refinish your basement in a timely, professional, and affordable manner. We combine your vision with our expertise to produce the stunning basement you’ve always wanted. Satisfaction guaranteed! Perhaps you’d like to install new ceiling tiles, carpeting, or energy-efficient windows in your basement. Whether your basement remodeling plan includes insulation, walls, floors, lighting, or mold and mildew control, we can help. Our trained basement contractors can turn your dreams of a cozy, usable basement into a living (and livable) reality! We proudly serve several areas of Alberta, including Edmonton, Calgary, Camrose, and Red Deer. 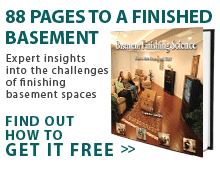 Contact one of our basement finishing contractors today for your free basement inspection and basement finishing quote!